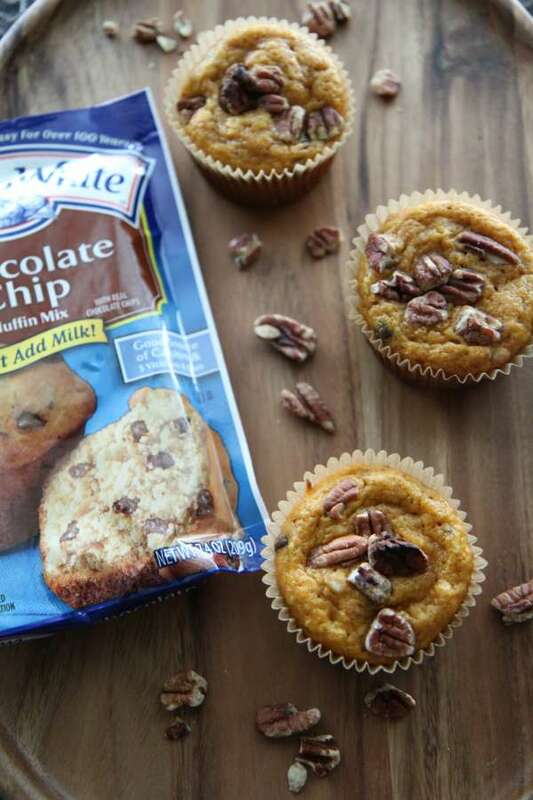 Recently, I shared with you how easy and convenient it is to pick up Martha White® Baking Mixes at Kroger. Martha White® Baking Mixes make baking easy, even I can’t mess up these mixes. Since it’s September, which means the beginning of the popular pumpkin season, I wanted to try my hand at a pumpkin inspired recipe. 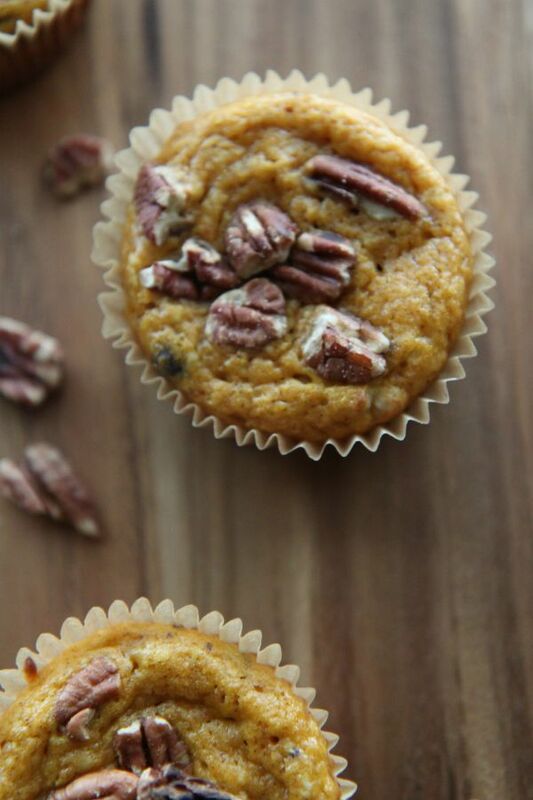 These Chocolate Chip Pumpkin Muffins are so delicious, even your pickiest eaters will enjoy. 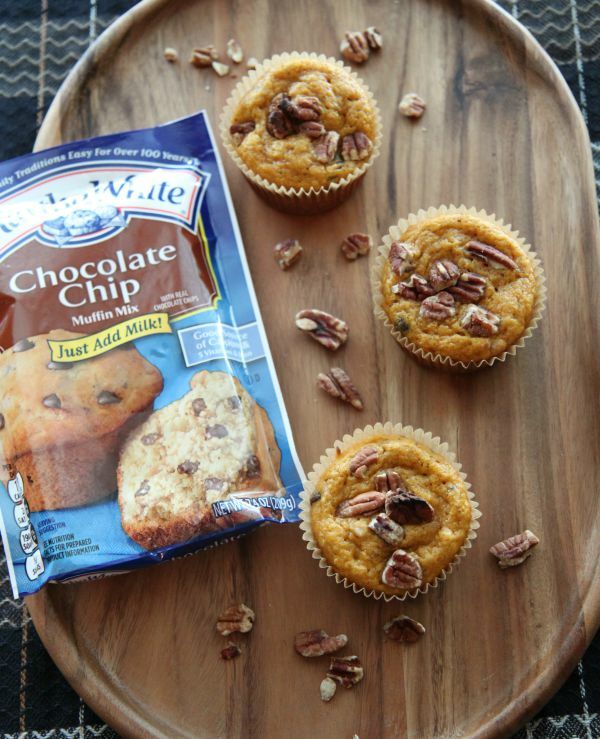 Using the Martha White® baking mix as a base for this recipe makes it super easy to whip up somewhat homemade afternoon snack or a filling breakfast. My pickiest eater had no clue there was even any pumpkin in this recipe. She came home after school and before I knew it, she was diving into this batch of muffins telling me how yummy my muffins tasted. Adding in the pure canned pumpkin is a great way to sneak in some vegetables into your baking. 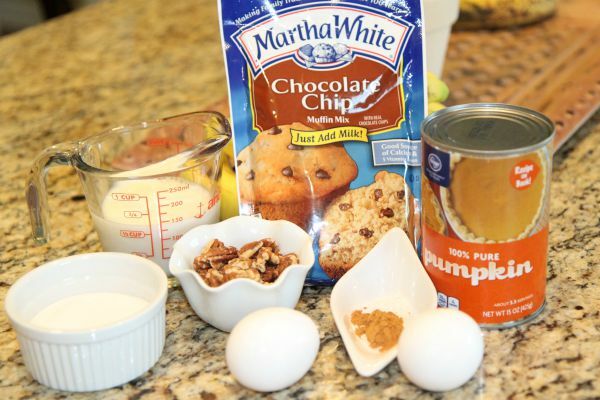 For this recipe, you will need Martha White® Chocolate Chip Muffin Mix, sugar, cinnamon, canned pure pumpkin, milk, eggs, and pecans. Most likely, you have many of these ingredients in your pantry already. Combine all the ingredients. 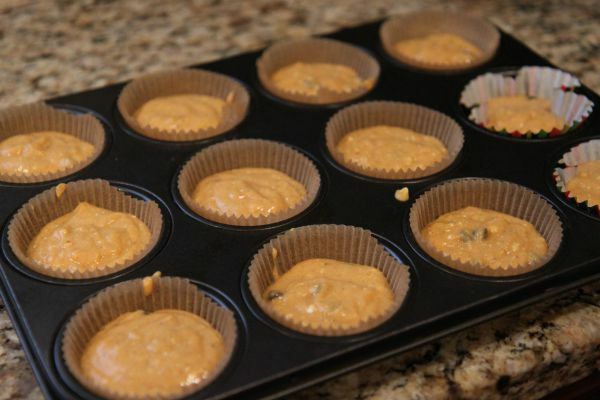 Fill 12 muffins tins sprayed with non-stick cooking spray or lined with baking cups. Bake for 13 – 15 minutes or until golden brown. Simple yet absolutely delicious. Enjoy! Spray 12 muffins cup with non-stick cooking spray or line cups with baking cups. Fill muffins almost completely full. Bake 13 - 15 minutes.